Robert Mugabe has been sacked as leader of the ruling ZANU-PF party, according to Reuters. 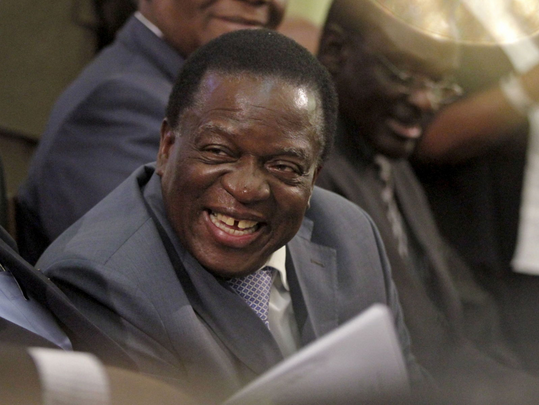 Former vice president Emmerson Mnangagwa has been appointed as the new leader of the party in a widely expected move, party sources added. It follows threats from the leader of Zimbabwe's war veterans, in which he said officials would unleash the mob on the 93-year-old if he does not resign as President. The threat was made by war veterans' leader Chris Mutsvangwa as he walked into a meeting of the ruling Zanu-PF party. If Mugabe refuses to step aside, he said: "We will bring back the crowds and they will do their business." He said he hopes Mugabe "gives in" and tenders his resignation to avoid "the prospect of the military shooting at people, trying to defend him". He added: "The choice is his." Youth league leader Yeukai Simbanegavi said Mugabe should take a rest as an "elder statesmen", while his wife should be expelled from the party "forever". She said: "It is unfortunate that the president allowed her to usurp executive authority from him, thereby destroying both the party and the government." Sky News reports that the situation in Harare is "entering the final plays". "By close of play today we could have a situation where Robert Mugabe goes off into the sunset. "There's a lot of conjecture about what is going on... the facts are: he's running out of road. "If he doesn't step down, it's likely that Parliament will vote him out in the next few days." Mutsvangwa, a former state security chief, is thought to be in line to head an interim unity government that will focus on stabilising Zimbabwe's shattered economy. Mugabe will begin a second round of talks with army commander Constantino Chiwenga later on Sunday.